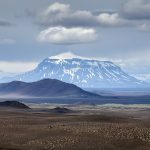 This exciting tour takes you to see many of the treasures of East Iceland where you will experience the beauty of this remote area in a unique way. On this excursion, you will get an insight into the history and culture of the area while enjoying the stunning nature. 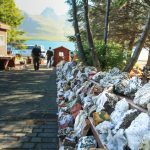 You will be seeing the town of Djúpivogur and its sights, Fossárdalur valley, driving across a mountain pass over to Breiðdalur valley where you’ll be seeing abandoned farms and hidden waterfalls on the way back to Djúpivogur you will also find a black sand beach and the rocky coastline of Streiti. Max 12 adults. Duration: 4 – 5 hours. In accordance with docking time. This tour starts in the peer in Djúpivogur village.